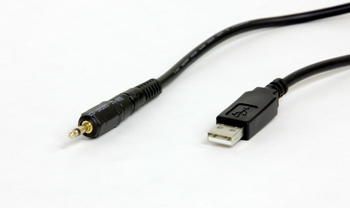 The iMFD to PC Link cable allows you to connect the iMFD digital serial stream to your PC. Data is transmitted at 19,200 baud (8N1) at a constant refresh rate of 10Hz. With the iMFD setup, you can mix and match any combination of sensor modules to obtain your desired sensors. 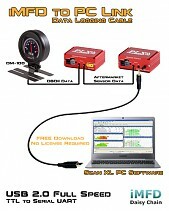 In addition, with the DM-100 you can program up to 4 parameters to stream OBDII data of your choice. 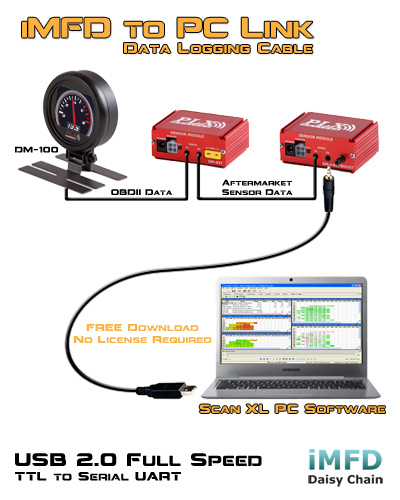 OBDII data is automatically converted to the iMFD serial stream format making the setup fully customizable for obtaining sensors from both your OBDII port and high performance aftermarket sensor modules. The Scan XL PC software is FREE to download and requires no license to use.